The perfect choice for those who prefer the slim roof prism design. Still hunting sets extreme demands on you and your equipment. You must be able to react quickly and precisely to changing situations. The Nighthunter XP 8x44 has been developed for exactly this purpose. Its incomparable High-Definition XP Optics feature a dielectrically coated mirror, phase correction, to prevent interference effects is naturally, as well as fluoride glasses. The Nighthunter XP 8x44 offers up to 25% more surface of the exit pupil than comparable competitors' products. This excellent quality of the optics and their high light transmission properties ensure a very bright undistorted view. Absolute minimisation of stray light, pin sharpness, outstanding edge sharpness, superb colour rendition and excellent contrast characterise the view. Observation with this brilliant glass is sheer pleasure under all lighting conditions. Detail resolution is absolutely convincing, even under the worst lighting conditions. The Nano-Protection surface coating is resistant to abrasion, water drops simply roll away, so observation in rain or snow is no problem at all. 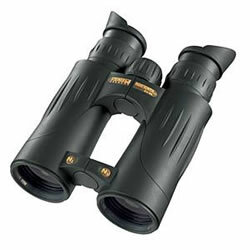 Objective diameter 44 mm  Magnification 8 x  Weight 834 g  Width 126 mm  Height 188 mm  Depth 65 mm  Exit Pupil 5.5 mm  Luminosity 30  Twilight Factor 19  Field of view / 1000 m 130 m  Focussing System Fast-Close-Focus  Close Focus Range 2 m  High-Performance-Optics High-Definition XP-Optics  Nano-Protection Yes  Water proof Water pressure proof up to 5 m  Nitrogen-Pressure-Filling via 2-way-valve system  Temperature Range -40 to +80°C  Eyecups Twist-up eyecups  Rubber Armouring NBR-Longlife  Carrying Strap Neopren  Strap Attachment ClicLoc  Objective Cover Yes  Bag Yes  Warranty 30 years.